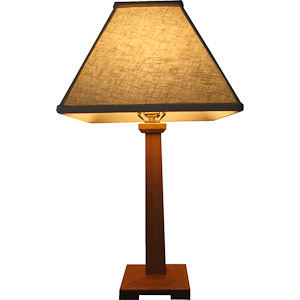 This lamp exhibits the typical Mission Style with the gentle tapered shaft and sloped base. It makes a perfect addition to any of out Cape Neddick pieces in this furniture series. Note, all lamps use UL/CSA approved parts. All lamps come with either 8 or 10 foot cords instead of the typical 6 foot cord and have three way sockets with solid brass shells.